Toys are suppose to be cute and fun for kids to play with. In a perfect world maybe we would have that but some toys creator let you ask, “what were they thinking”. The toys in this gallery are not cute or comfy that you are your children will like to cherish. Where do these people live? 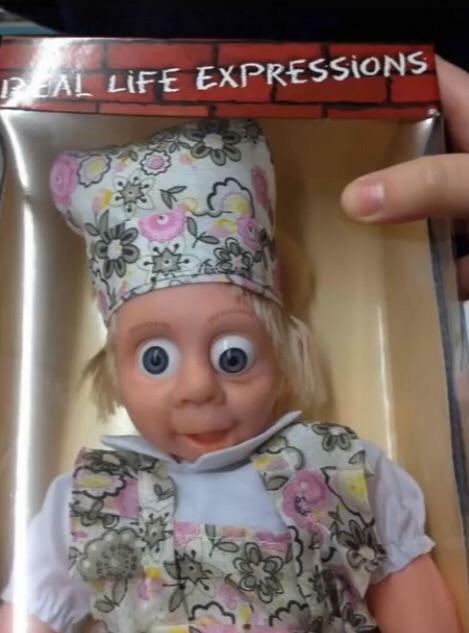 What real life expression is this toy doing? What were they thinking , even with this name? The Avenging Narwhal has 3 toys victim is all you need to see. I am not sure what they were going for with this but we can all see its crying and surprise when you put your hand down its hole. Why they had to make the spout at that spot ? Was that the only place they could have put the hole? So inappropriate . Just put that somewhere else! They knew what they were doing, smh. Not sure they think this through , but I have to question the designer sanity.